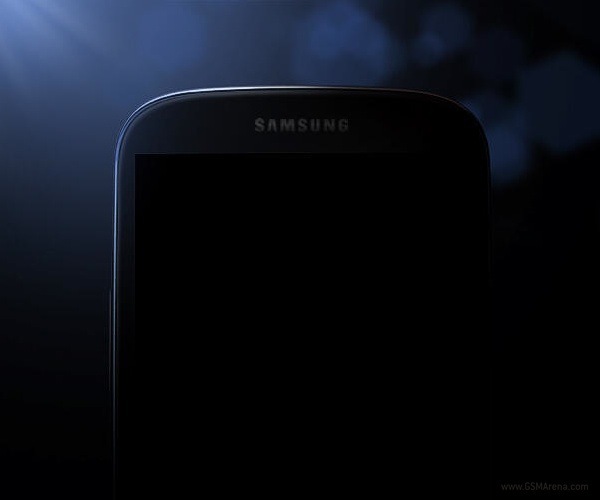 We are just two days away from the official unveiling of the next generation Galaxy S smartphone – tentatively called the Galaxy S IV – in New York. But it seems Samsung is having a hard time keeping the phone under wraps until then and has decided to give us a sneak peek. There is not a whole lot to see here. All we have is a dark and mysterious image that shows one corner of the phone. You will notice that the phone looks quite similar to the Galaxy S III, as we have seen from some of the leaked images before, and curiously, lacks an earpiece. The conclusion we can draw from this is that the Galaxy S IV indeed will look almost identical to the current Galaxy S III or that Samsung is messing with us by providing false information, lulling us into thinking that the new phone looks like the old one while they have something completely new to show at the event. Considering the lengths that the company went through last year to keep the phone's design a secret, the second possibility does not seem all that implausible.